The Time is Ticking, How Do Other Countries View the Brexit Vote? The tensions of the Brexit deal are starting to escalate, and the ripples can be seen throughout the world. The Brexit final vote is reaching its ultimatum on March 29th. If no deal is struck, Britain will have full control of its borders and new trade deals will need to be negotiated. Britain will also be traded with as a non- EU country, leading to non-preferential treatment within Europe and the long process of developing the necessary infrastructure to support the new trading conditions. Unfortunately, the support that the United States has shown toward Brexit is in direct conflict with reactions by the UK’s other major trade partners. French customs officers, for example, are participating in a major strike, causing great chaos getting through the countries borders. Goods are being held up at the border. Eurostar has had to announce massive delays as well as cancelations due to the French protests. Customs workers are stating that this is in response to the full borders that will have to be set up due to Britain leaving the European Union. Anne Azoulay-Fravel, a customs official, has stated that the strike is related to the consequences that Brexit will have on working conditions. The complaints are due to the massive workload with limited staff that the “no-deal scenario” will bring. The protests are not supposed to end anytime soon. Make sure to stay updated about the Brexit vote, by subscribing to the Allyn Trade Compliance newsletter to receive future updates. 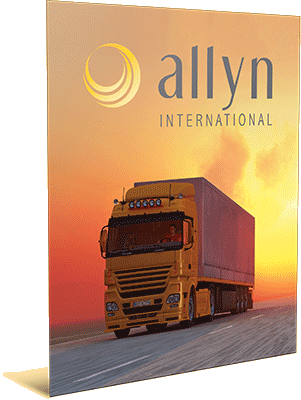 If you would like any additional information on how Brexit could affect your business, or have any questions, please contact Allyn at (239) 489-9900 or you can email us at sales@allynintl.com.